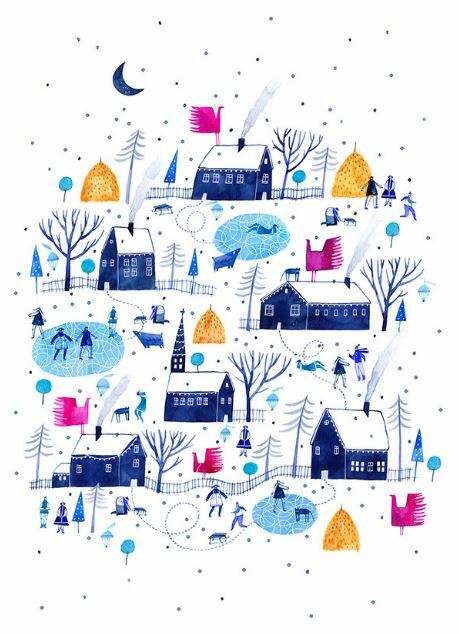 This blue-dyed winter fairytale is one of Madalina Andronic’s many whimsical artworks. 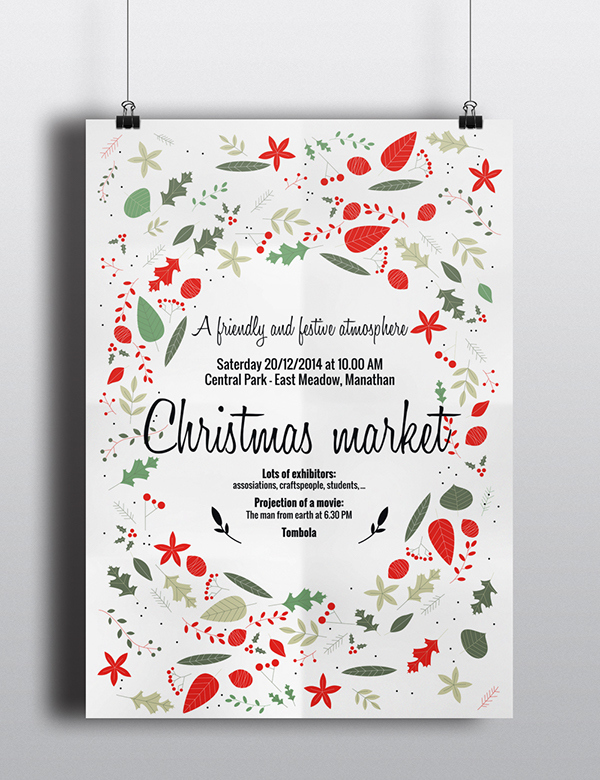 The illustration is originally created for a Christmas card but its pure simplicity makes it a convenient pick for posters as well as holiday-themed invitations. Madalina’s hand illustration features a cyan-tinted landscape of a snow-covered town that radiates tranquillity and happiness. The townspeople joyfully engage in winter activities under the peaceful evening snowfall. 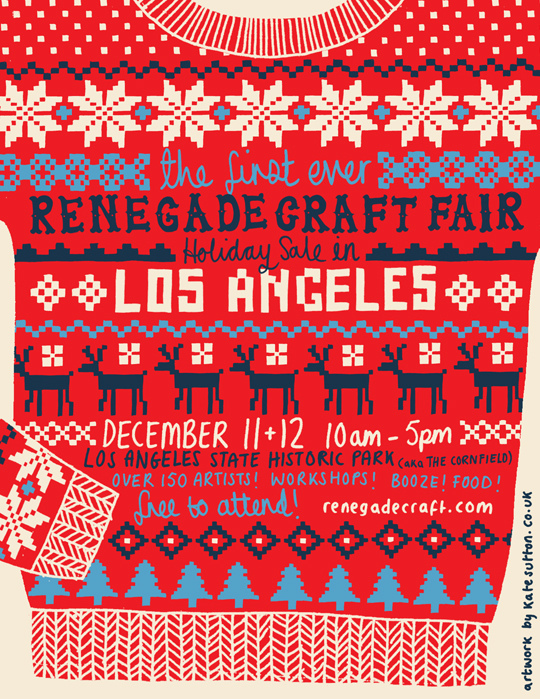 Kate Sutton’s Chrismas craft fair poster has a playful and jolly design that provokes creativity. The traditional cross-stitch motives are so closely entangled with the text that it’s sometimes hard to read. Yet, the bright red background and saturated colors are sure to grab the viewer’s attention. 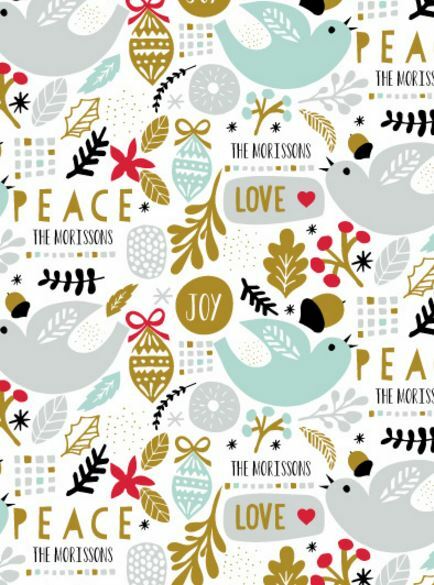 Although this illustration represents a gift wrap pattern design, its beauty and harmony can be easily translated into a poster or Christmas card design. 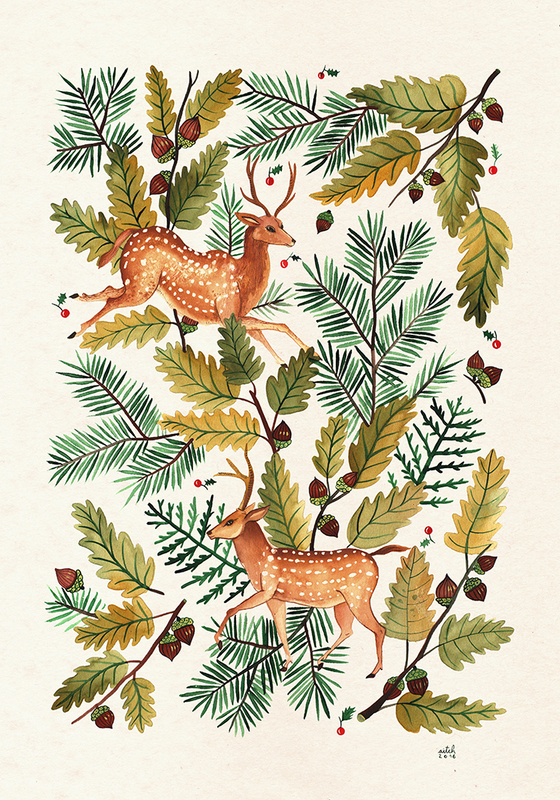 The mistletoe leaves and pine tree branches combined with the jolly chirping bird illustrations create a blissful landscape of uplifting festive motives. Since the design also incorporates a family name that can be changed upon ordering, it’s provided on the web as a personalizable gift wrap illustration. Ever thought about throwing a Wedding and Christmas party on the same day? Christmas parties are not necessarily hosted on Christmas eve but a few days, or weeks earlier. This allows creative lovebirds to set up their wedding around an unusual yet, incredibly convenient theme. Christmas is all about family and tradition so it can be creatively mixed with a wedding event. 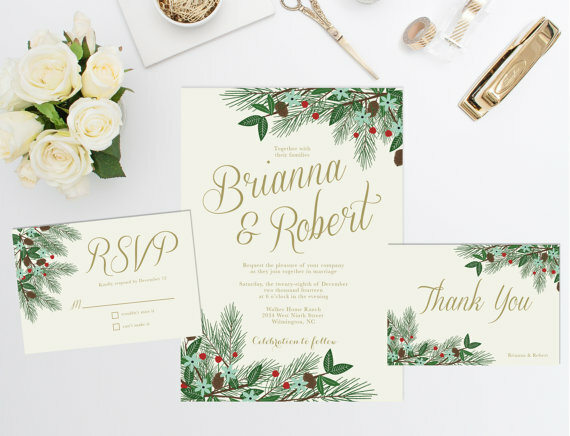 This invitation, RSVP, and envelope design combine traditional love symbols and festive elements for the perfect Xmas wedding card. 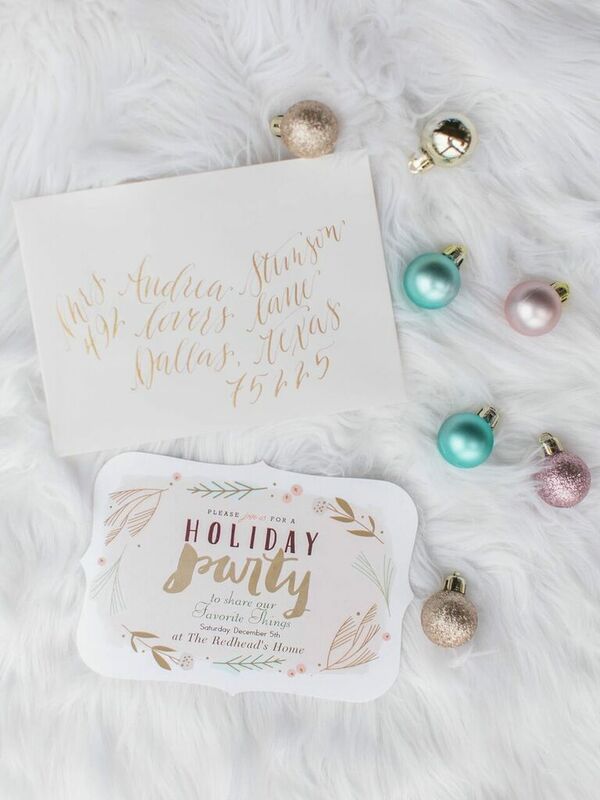 You can never go wrong with calligraphy on any invitation or card design. Mixing different handwriting styles is usually a big no-no, but when you creatively combine bold and thin font, you can easily escape the trap of cluttering your design. The simplistic line art and hand-drawn elements add additional beauty and elegance to the design. This otherwise Autumn leaves illustration has been creatively transformed into a Christmas event poster with the help of some additional festive motives. The mistletoe fruits and minimalist tree branches give the design a Christmassy feel. The design combines both handwriting and sans serif type which gives it a modern touch. 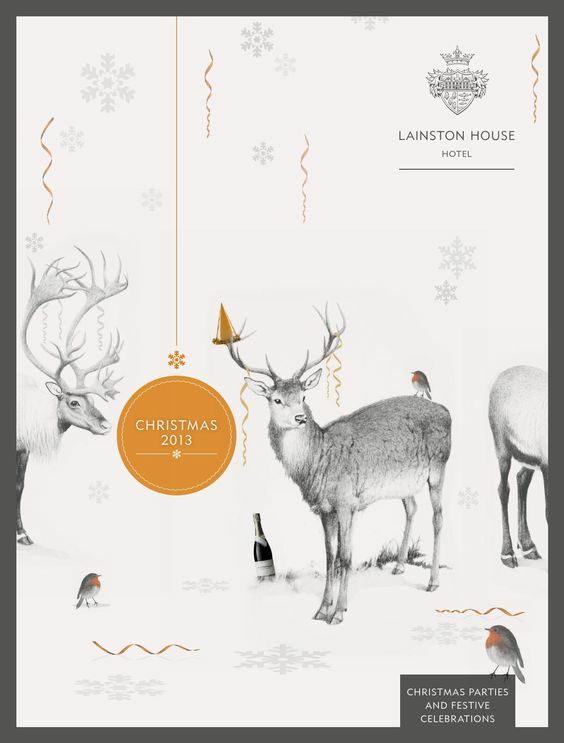 The Laniston House is a rather traditional British hotel with a classic Victorian design. 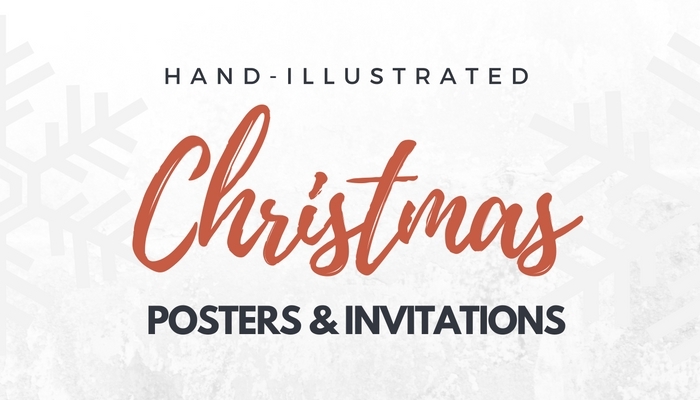 Their Christmas invitation design, on the contrary, represents a contemporary mixture of realistic hand illustration and monochromatic elements combined with clean geometry and sans serif type. This minimalist design has an unusual, yet, sophisticated feel that makes the hotel brand stand out from the rest. This hand-drawn collage of wintry and forestry motives radiates a feeling of warmth and serenity that can be found in all other illustrations by Nomadic Aitch. The hazelnuts refer to harvesting and abundance while the deer illustrations remind of the holiday stories of a white-bearded man in a deer-harnessed slate crossing the skies in the Christmas eve with a big bag of presents. 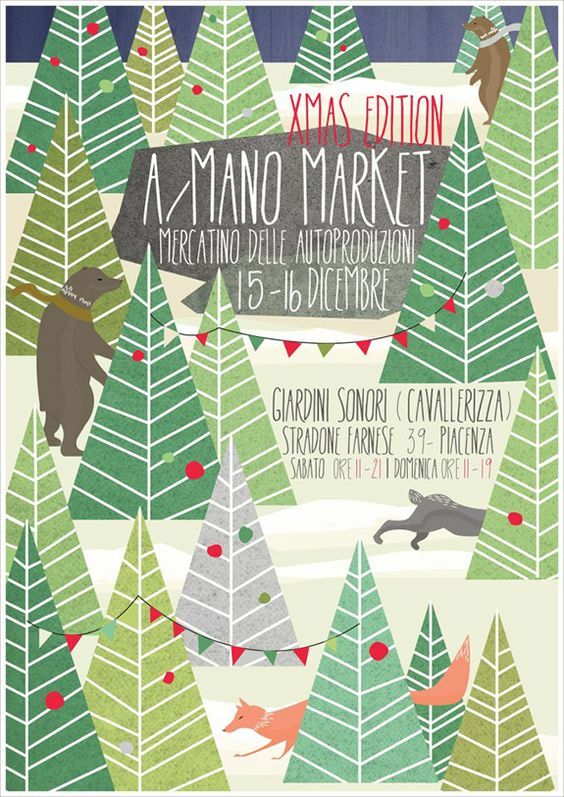 Another geometry-focused hand-illustrated poster that beautifully translates the feeling of peace and festivity during the Christmas season. The sharp tree illustrations somehow remind of the signature 60s animation drawings and give the poster a cartoonish and playful appearance. 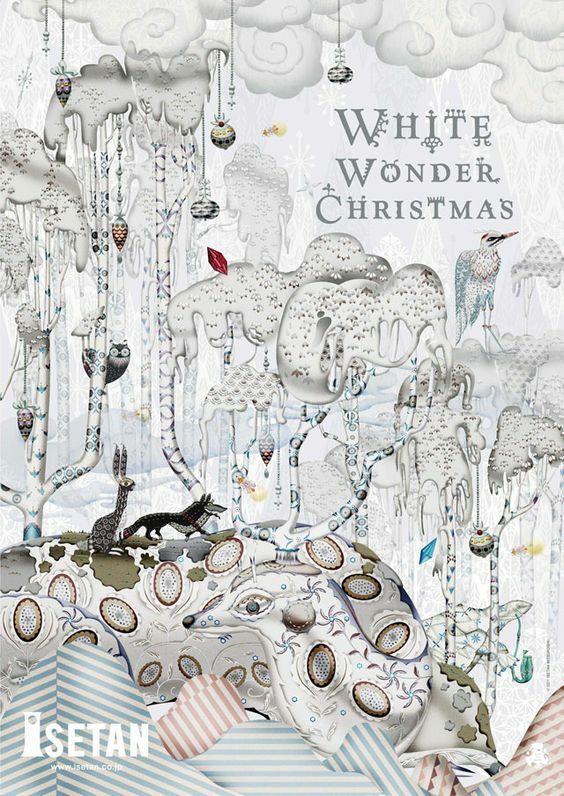 If you’re a fan of the unusual and uncanny, this eccentric Christmas illustration might be the one that best grabs your attention. The design presents an abstract collage that mixes gradients and patterns in an unexpected way. The pastel colors and low color saturation remind of a minimalist design, meanwhile, the closely arranged ornamented elements create clutter in a unconventional, yet, captivating way.